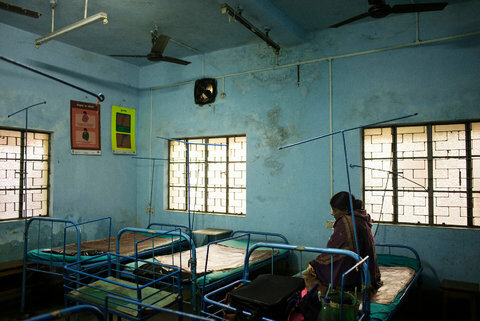 “In Anand district's Pansora Primary Health Centre (PHC), 80% of the women incurred out-of-pocket expenditure even for antenatal care, which is supposed to be provided by the public health system. Even in public facilities, up to 53.4% women (in Rasnol PHC) incurred the expenditure of up to Rs 6000”, JSA says. “By contrast”, JSA says, “The backward tribal Panchmahals and Dahod, supposedly high priority districts, the government health system is weak, lacking resources and staff. The impoverished and already vulnerable women are pushed to the private sector. Around 75% of those who went to the private sector incurred expenditures for delivery up to Rs. 5,000”. JSA's revelations came ahead of a crucial public hearing by the National Human Rights Commission (NHRC), to last for about six months starting in November, to be undertaken in different parts of India, on right to health and how it should be implemented in India. The hearing will be held in association with JSA. JSA also revealed that as of March 2014, 136 blood banks were functioning in Gujarat, of which just 30 were managed by the state government at 12 medical college hospitals, nine district hospitals, two special hospitals, one taluka hospital, four municipal hospitals, one military hospitals, and one at a private medical college. As many as 82 blood banks were managed by charitable trusts, and 24 by private bodies.